Entire apt is being GUT renovated (from top to bottom) new doors, solid wood flooring, 10 ft ceilings, recessed lighting, exposed brick with decorative fireplace, Kitchen will also feature gorgeous granite counter top, cherry cabinets, and high end stainless steel appliances, including microwave and dishwasher. The Bathroom will feature marble tile, top of the line fixtures and appliances. 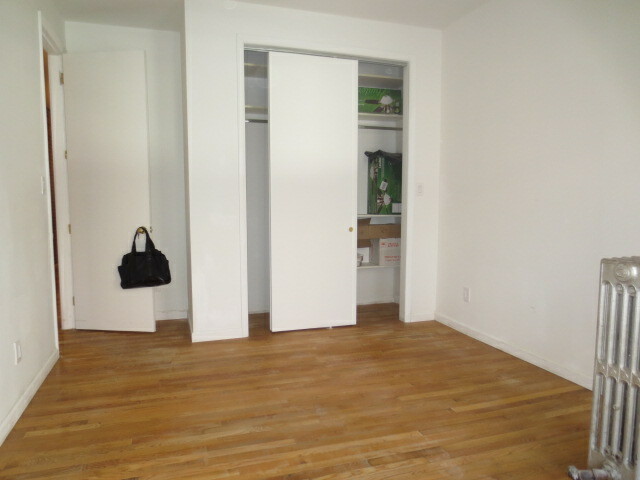 All 4 bedrooms are very big with closets and can easily fit Queen-sized beds. Very large common living room area, . Washer and Dryer as another added feature. Windows galore with plenty of sunlight. 14 train lines, restaurant row, and Theater district. , plenty of restaurants. Call for a private viewing.Move in immediately .